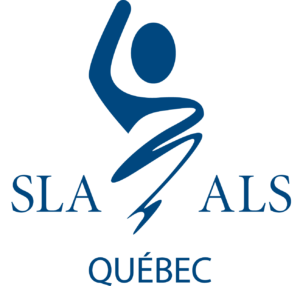 Montreal, August 28th, 2018 – From August 24th to 26th, the 11th edition of the Ride to Fight ALS powered by TELUS Health in support of the Amyotrophic Lateral Sclerosis (ALS) Society of Quebec took the Eastern Townships by storm. Around 200 cyclists and volunteers gathered at Espace 4 Saisons in Orford to take a stand against ALS. Participants biked 56km to 120km during one, two or three days. On Saturday, August 25th, a hike on the trails of Mont-Orford National Park and a BBQ at the foot of the slopes of the Station de ski Mont-Orford also aimed to raise funds in support of the non profit organization. To date, $320,000 was raised by both events to support Quebec families touched by ALS and research. The very first edition of the Hike to Fight ALS was held at Mont-Orford National Park on Saturday, August 25th. The Ride to fight ALS includes three options: a one, two and three-day cycling challenges. Since 2008, the Ride to Fight ALS has been the Society’s flagship event, with cyclists of all backgrounds participating and raising over $2 million during this past decade. The ALS Society of Quebec would like to thank the event’s key sponsor, TELUS Health, and its main sponsors Mr Muffler, Mobil Oil, Globe Multimédia and Cycle Néron as well as the Espace 4 Saisons’ team for their generous hospitality. More commonly known as Lou Gehrig’s disease, Amyotrophic Lateral Sclerosis (ALS) is a devastating neurodegenerative disease that attacks the body’s nerve cells, and is usually fatal within five years. The cause is unknown and there is no effective treatment. People living with ALS gradually lose their ability to walk, speak, swallow, and breathe. They become prisoners within their own bodies, without losing their intellectual faculties.